ALLENTOWN (WPVI) -- The former Allentown State Hospital has become the setting for an upcoming Hollywood blockbuster. Lower Merion Township native M. Night Shyamalan has brought the shooting of his latest film 'Glass' to the empty Pennsylvania mental hospital. 'Glass' stars Bruce Willis, Samuel L. Jackson and James McAvoy. It is the final chapter in a superhero trilogy that also includes 2000's "Unbreakable" and last year's surprise hit, "Split." Shyamalan began filming earlier this month in other locations in Philadelphia. The Allentown State Hospital filming is expected to last for a few weeks. The hospital was built in 1912 and closed in 2010. Shyamalan's 'Glass,' to film in shuttered mental hospital. Sarah Bloomquist reports during Action News at 12 p.m. on October 26, 2017. 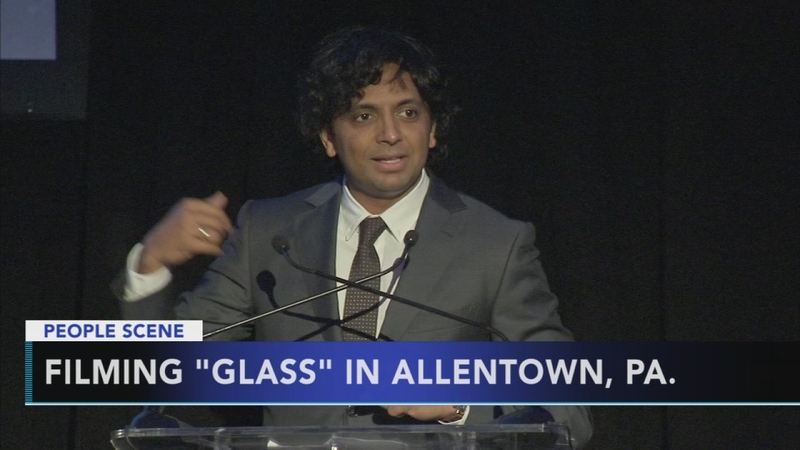 Last week, Shyamalan presented the Lumiere Award to Willis in Center City as part of the Philadelphia Film Festival. Watch the report from Alicia Vitarelli on Action News at 4 p.m. on October 27, 2017.